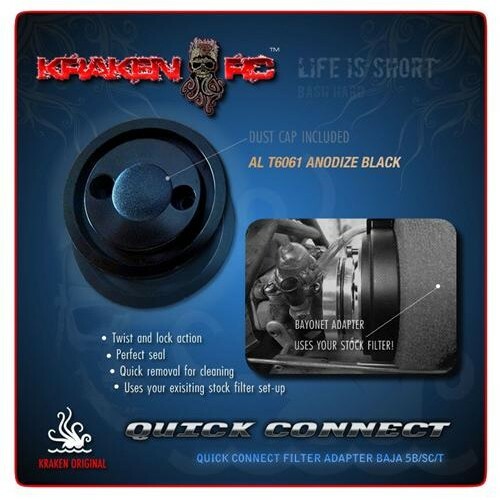 Kraken RC Quick Connect Filter Adapter uses a unique bayonet lock system that provides a quick and clean install and removal of your stock air filter. This twist lock system not only provide immaculate sealing but also prevents the filter from popping out during crashes and bumps. Kraken RC is a design company solely focused on making innovative products for the large scale RC. Kraken RC is family owned and operated with a commitment to provide the highest quality products.